Run to the theater for this beautiful, smart film about an incredible girl…and toast with a great Rosé! Disney surprises with “The Queen of Katwe,” opening this weekend and the main film for this week’s “Wine and Film, A Perfect Pairing” Podcast on reVolver Podcasts. Both Gary and I truly loved this film and the tenacious spirit of Phiona, a young African girl living on the streets of Uganda. Her passion and dedication made for easy pairing, as this week we toast the wines of the McBride Sisters and their California based Truvée wines. 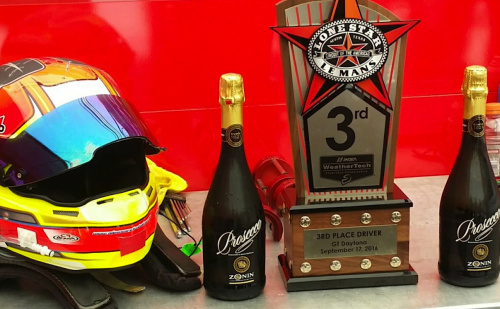 We also had a chance to visit Austin last weekend as a guest of Zonin 1821, producers of Italy’s favorite Zonin Prosecco to attend the city’s celebrated Lone Star Le Mans race event. And wow, was it fun. The second half of this week’s show raises a glass to the festive event. We’ll have more on the wines of Zonin 1821 in our next post.